There’s a chill in the air, and it’s not coming from the weather. Halloween is right around the corner, and it’s time spook up your surroundings. 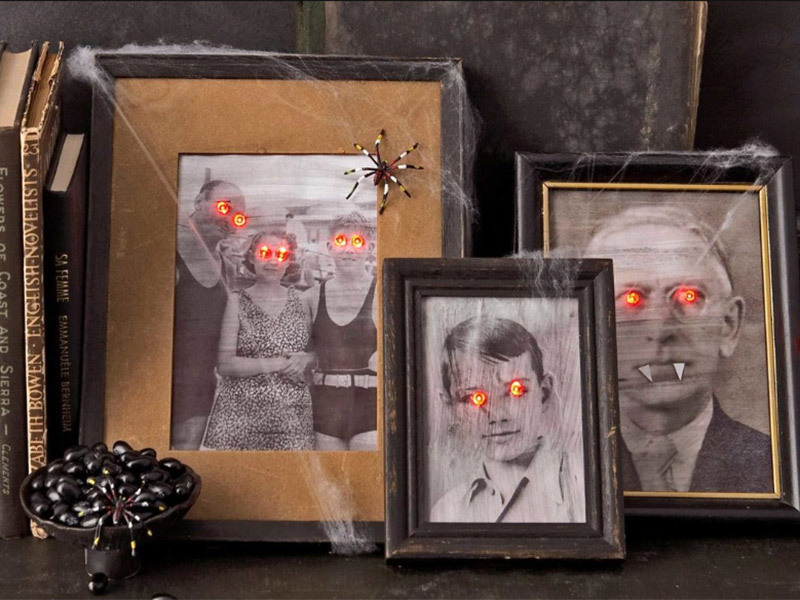 But when you’re just not feeling the onslaught of orange and black, consider one of these ghoulish DIY décor projects. 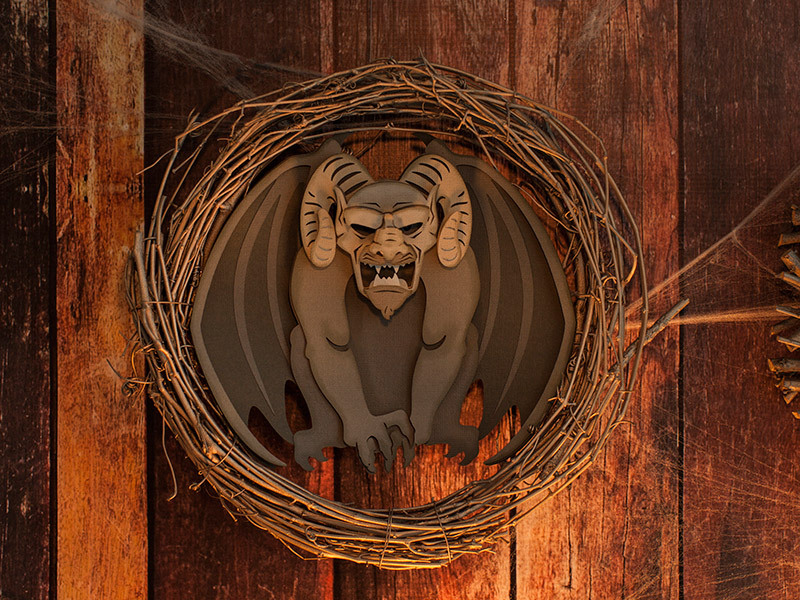 They’re freakishly easy to make and are sure to set the scene for a devilishly fun Halloween! 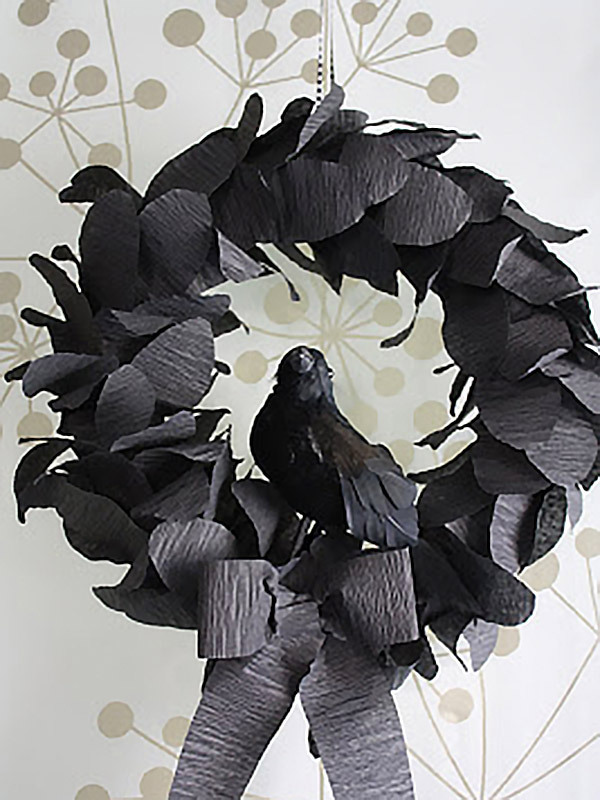 Crepe paper is definitely having its crafting moment, and this macabre wreath puts it to good use. Check out Katydid and Kid for directions on how to make this “Nevermore” piece. 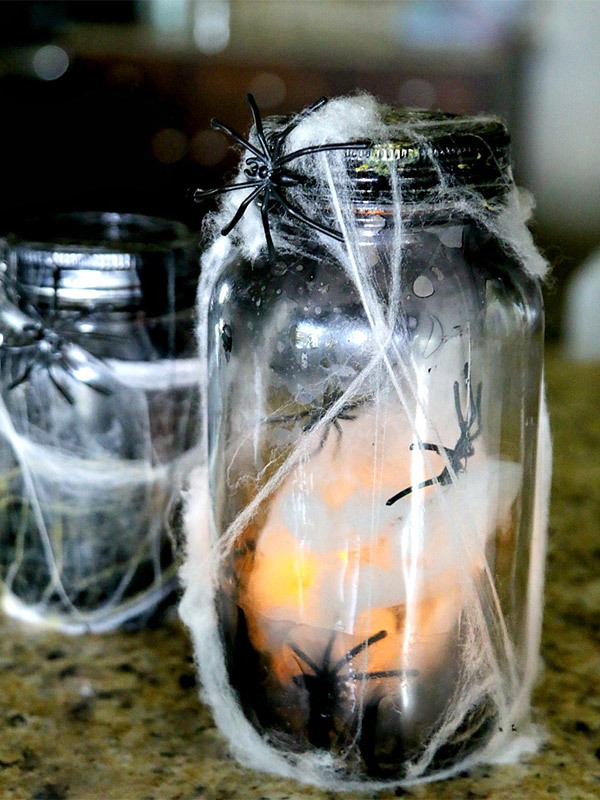 MomDot shows you how to give a garish glow to Halloween proceedings with these creepy crawly Mason jars. Eek! This fearsome guy is sure to snare lookers with his fierce grimace and deep gaze. Despite all that, we find him endearing in a wickedly delightful way! Find him and his equally spooky buddies on Cricut’s Design Space™. 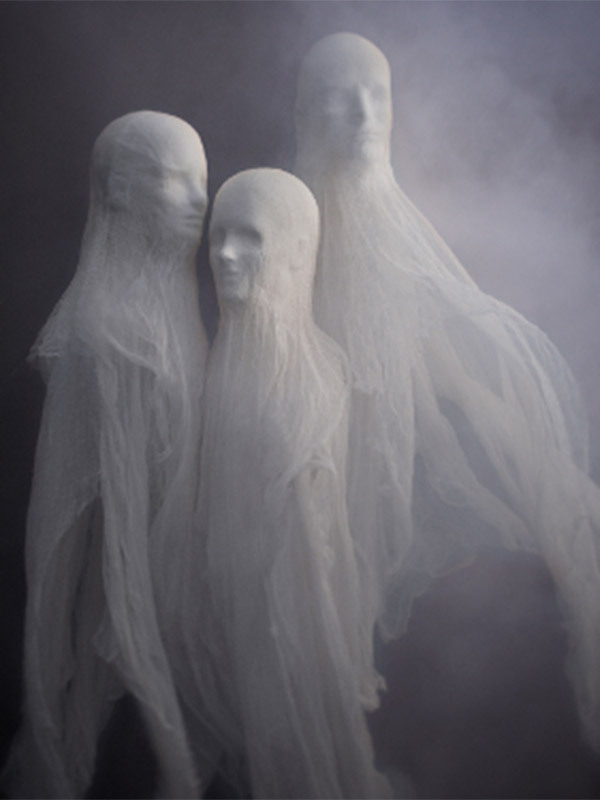 And if you’re looking for even more chills from Martha Stewart, go no further than these DIY haunted spirits. Add a little fake fog, and they’ll appear to be floating in mid-air! Diabolical indeed! These giant spider egg sacs are teeming with creep-crawlies that will make trick-or-treaters squirm. 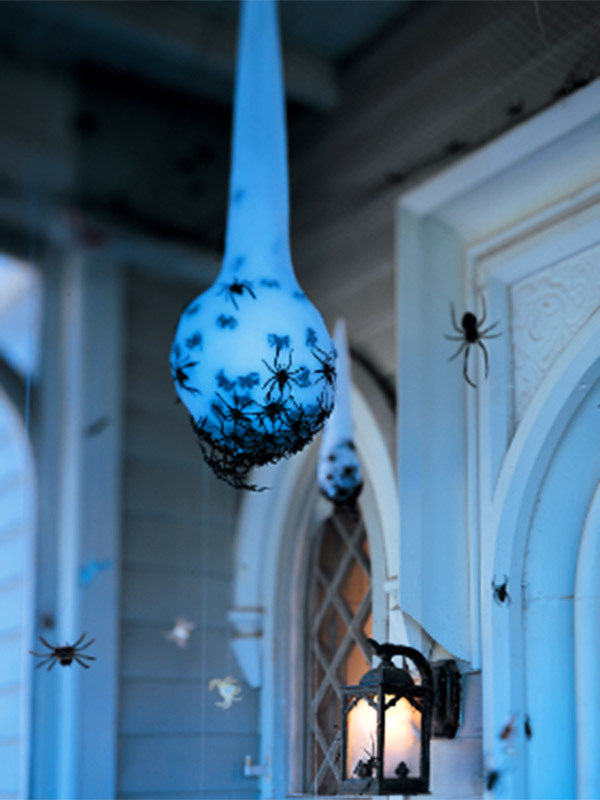 The Halloween maven, Martha Stewart, shows you how to make your own at her site. 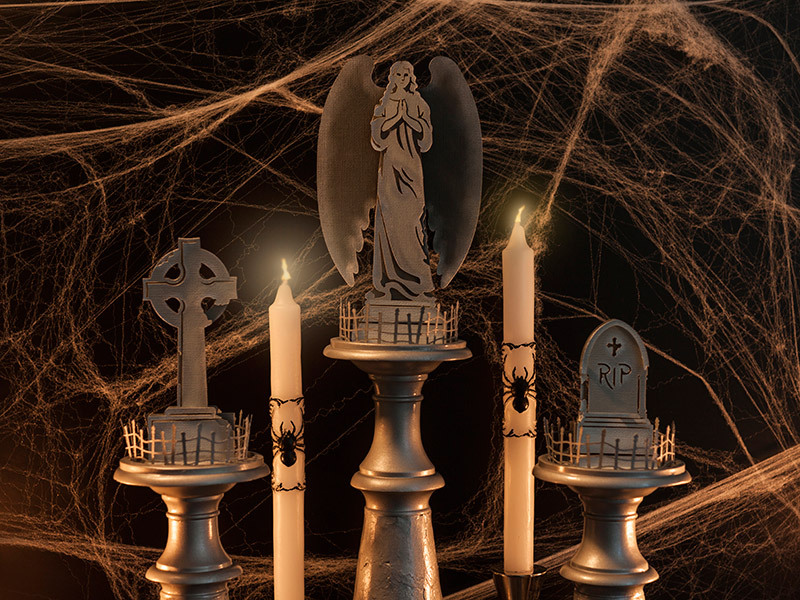 Nothing sends shivers down our spines like evenings in a graveyard, and these eerie Headstone Candle Decorations are sure to do the same wherever you place them. Create your own with your Cricut and the easy instructions on Design Space™! 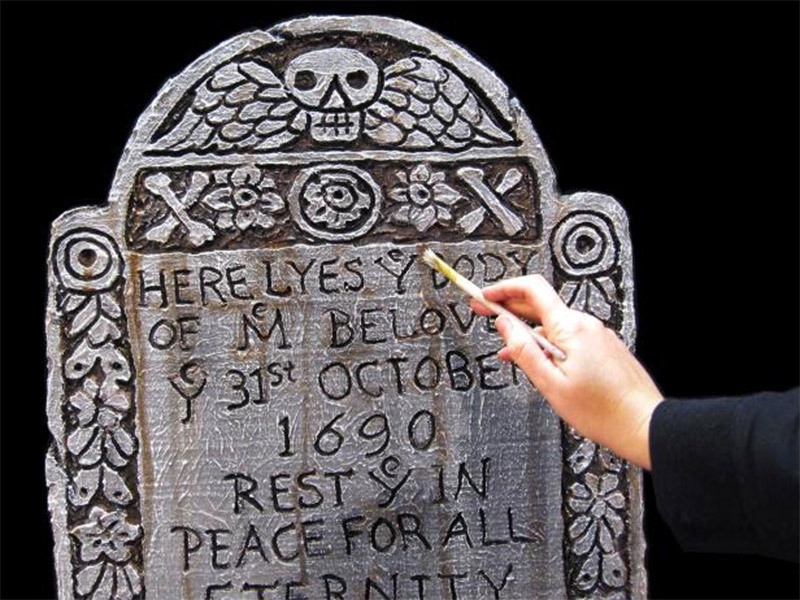 The DIY Network gives a step-by-step tutorial for crafting your own Styrofoam tombstones. Add your own details and decorations for a creepy twist! 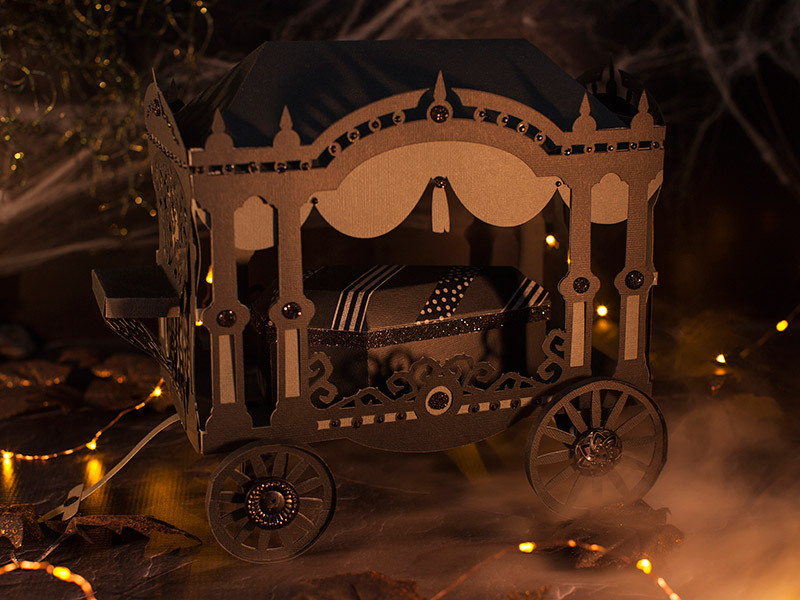 Cricut also has a craft that’s to die for: a Halloween carriage carrying its own mini coffin. What’s inside the casket: tricks or treats? Find out more on Design Space™. 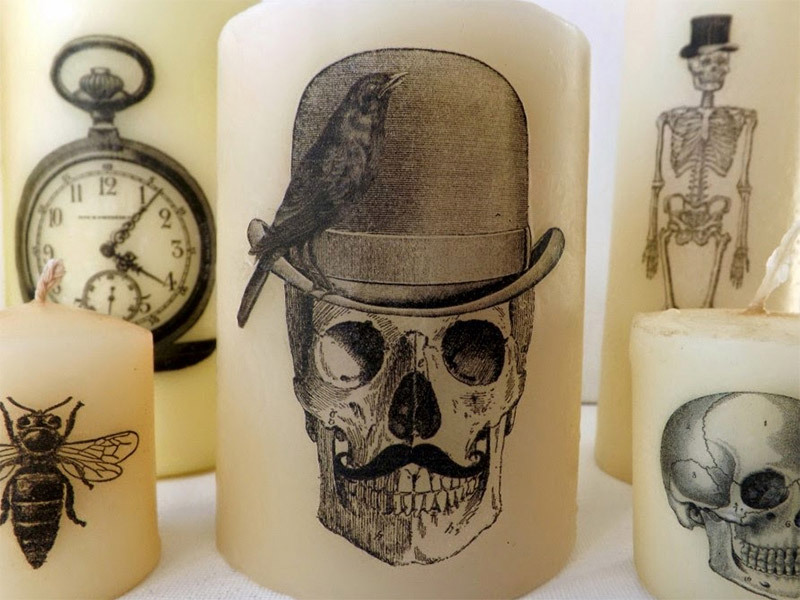 These wicked cool candles by Sew for Soul are disarmingly easy to make. Choose your own images for happy hauntings. How chilling is your Halloween décor? Show us using #CricutMade!